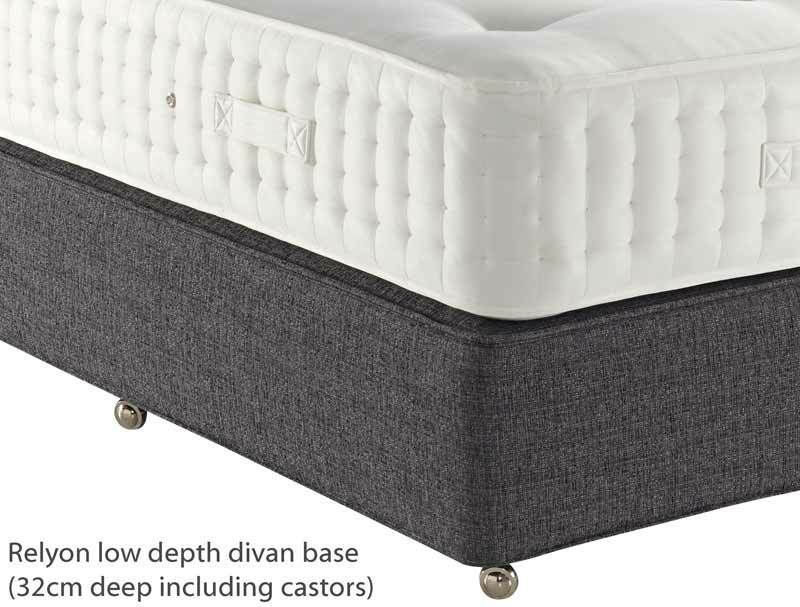 The Penshurst is the middle model in a range of three Relyon divan beds that have a deep pillow top that contains mini pocket springs. The Penshurst offers 1600 pocket springs in the mattress core and a further 750 mini pocket springs in the pillow pad along with pure new wool and alpaca fillings. 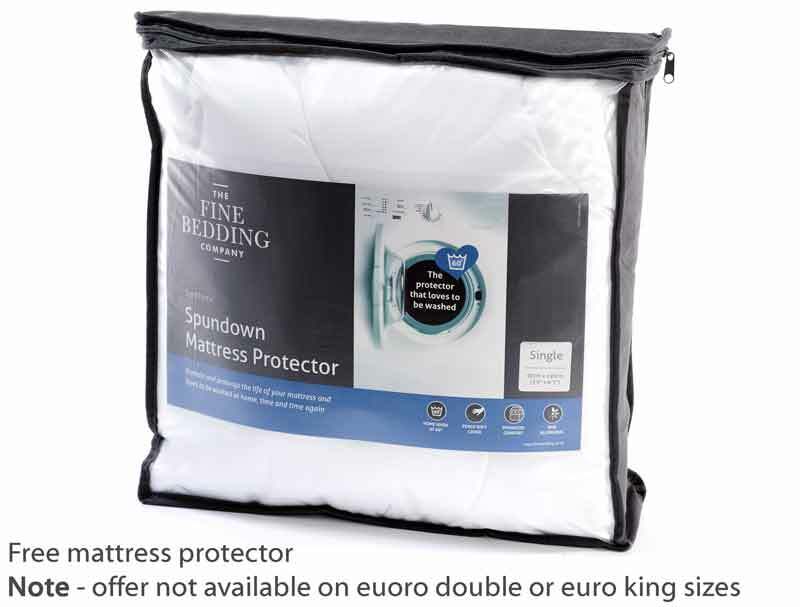 This super quality standard tension mattress boasts a deep cushioning in the pillow pad along with traditional hand tufted woollen tufts and 3 rows of reinforced side stitching. 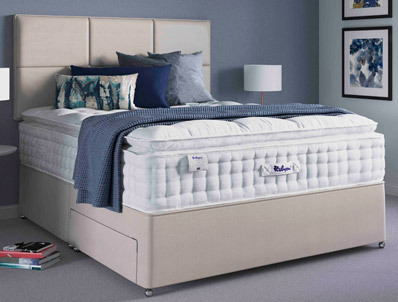 It also benefits from a firm edge to the mattress with stronger springs in the perimeter of the mattress giving more support and less roll of at the sides helping to create a wider sleeping area. This no turn mattress also benefits from a Belgian damask cover. 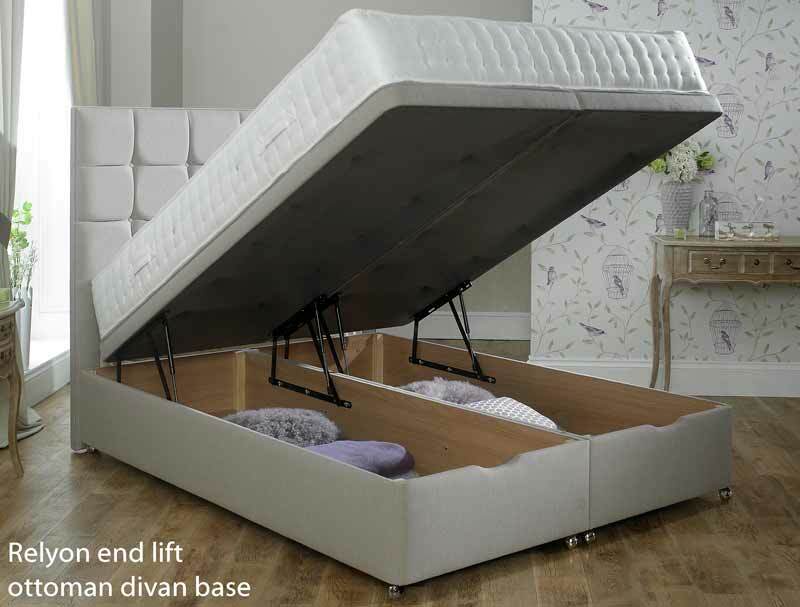 The non-turn mattress comes as standard on a platform top hard base which is available in 2 heights, we recommend the lower base at 32cm high. 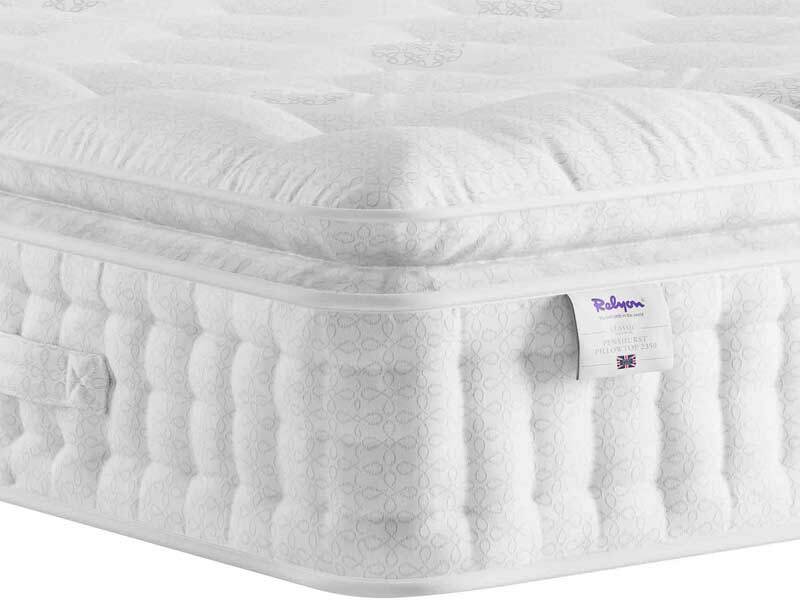 This is because the mattress has a 36cm border height but with pillow pad loft is 40cm. Otherwise the standard base at 41.5cm would make it a very high bed at 82cm. The base is available in a wide range of fabric colourways of which 12 are free of charge. The bed comes with 2 free drawers on all sizes or you can upgrade to a 2+2 drawer, or 4 large drawers. The headboard pictured is called the Contemporary, it is not included in the price but can be added as an extra option, or you can choose any Relyon headboard. 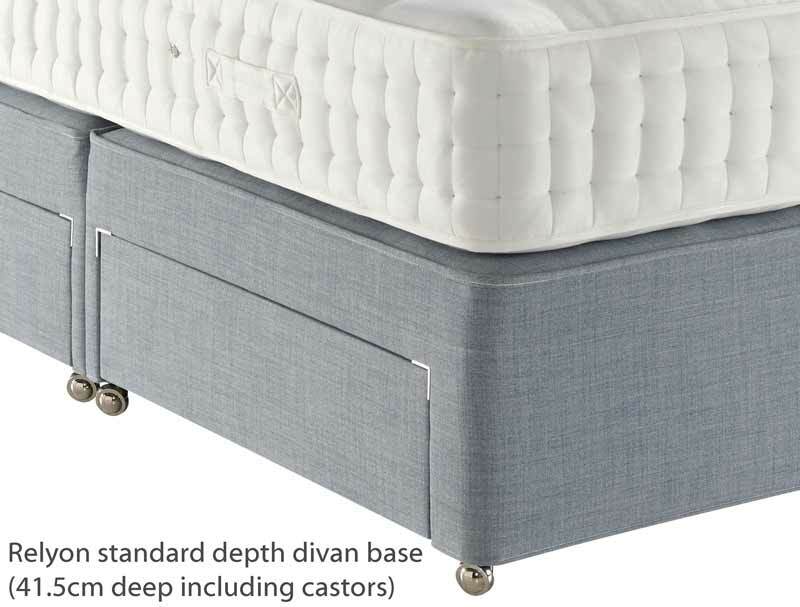 You can choose from the standard bed fix style, or as a floor standing headboard and will be made in the same fabric as the base. All new Relyon beds come with captive drawer runners and re -enforced bases as standard.